Here's a start on my planting schedule. I linked to it on my sidebar. I'll add to and revise this as I get time. Order seeds. Set up plant table and lights. 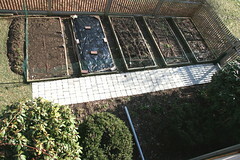 Collect seed trays and potting soil. 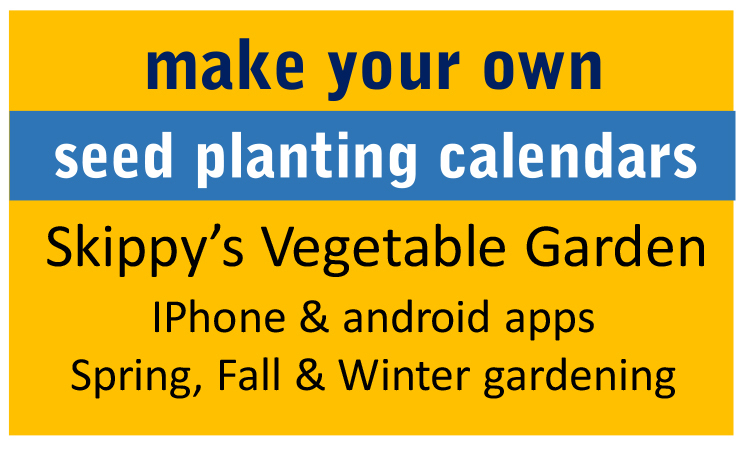 March 5-10: Sow kale, broccoli and lettuce seed indoors. March 15: Sow pepper seed indoors. March 20: Sow seed in home garden for peas. March 28: Sow half of tomato seed indoors. April 1: Sow fava beans in community plot. April 20-30: Transplant pepper and tomato seedlings to larger pots indoors. Sow seed in home garden for more peas. Sow beets, watermelon, pumpkin and half of summer squash seed indoors. 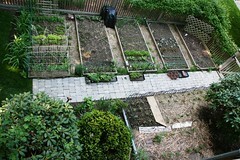 In community garden, plant potatoes and onion sets, sow seed for radish, onions, carrots, parsnips and potatoes. 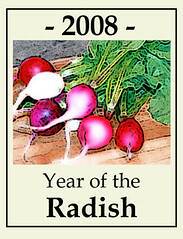 April 25: Sow in community plot arugula and radish seeds. 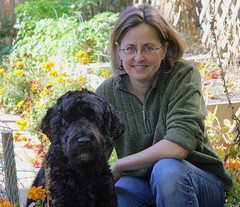 Set out kale, broccoli and lettuce transplants. Sow cucumber seed indoors. April 28: Sow second half of tomato seed indoors. 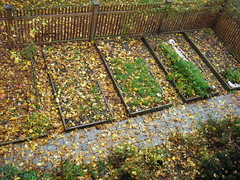 Last frost date in my home garden is usually May 5-10. In my wide open community plot, the last frost is as late as May 31. 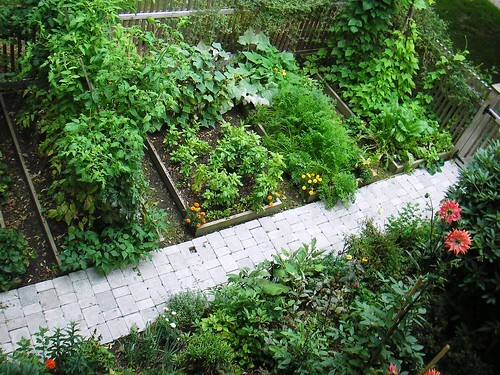 May 15-20: Sow seed in home garden for green beans, pole beans and soy beans. Set out dahlia tubers. Set out tomatoes and cucumber plants. Sow more lettuce seeds. Sow other half of summer squash seed. 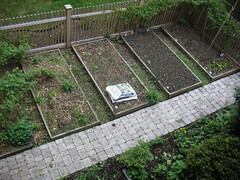 June 5: In community plot, set out peppers, pumpkin and summer squash. June 9: Sow summer lettuce seed in pots. Set out watermelon transplants. June 30: Sow a second crop of green beans and pole beans in my home garden. July 1: Seed fall broccoli and more lettuce (in pots). July 21: Sow more summer lettuce. 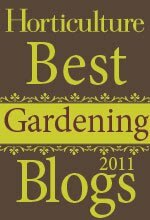 June 30: Sow a third crop of green beans and pole beans in my home garden. I'm aiming for variety this year. A good way to make sure I have some crops that do well in whatever weather comes our way. I'm trying 2 planting of tomatoes and squash, since last year early heavy rains were bad for the early crops. Six varieties of potatoes will lengthen my harvest time and give me storage varieties. I sow almost everything in seed trays (cells) inside in potting soil. Its easier to pay attention to watering the little seedlings this way. I transplant them to my garden when they outgrow the pots. My only direct sown crops are radish, carrots, beans, sunflowers and nasturtiums. I've planned mine out on a small calendar, after seeing grannies plans. Planning is very important, in my opinion...and your schedule looks very good! thank you for all of the wonderful posts you leave and create! I know that everyone who checks in daily, like myself, appreciates all the work you put into your blogg! Thank you for opening my eyes to my wonderful back yard!!! Keep up the great work, and thanks again! Thanks! I'm in CT and starting to work out my timeline, so this helps. I saw your response re potatoes, I never knew they could grow in barrels! Neat, I might give that a go. So far, this schedule is last year's with a couple of updates. Still needs more upates - mostly in the details and adding a few things like asparagus. I'll look into that next. It really helps me to post it here because then I won't loose it. A calender format is very nice - but if it was paper I'd loose it. 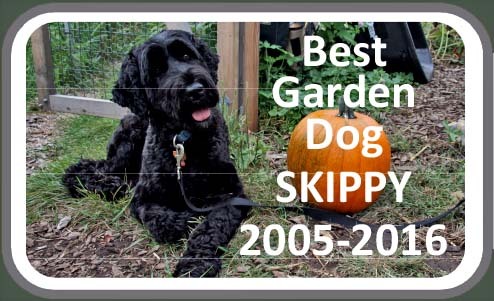 I'm really glad to hear its helpful for other gardeners! 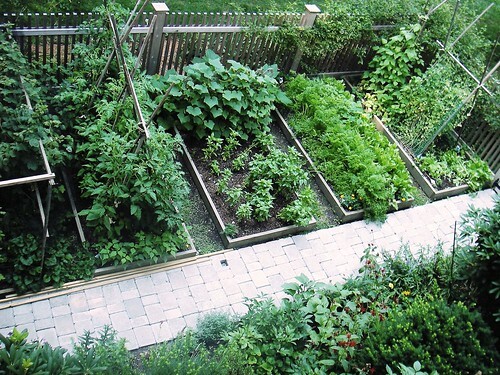 i recently moved into a house with room to garden and i've just begun to plan my garden. i'm still working on my time line and it is great to see yours. this whole project is a little intimidating and it is great to read your blog for extra insight. thanks! Thanks so much. I was going to work one up later, but yours is very good, I may just steal it (if you don't mind). This is close to what I plan to do. Thanks for the template! 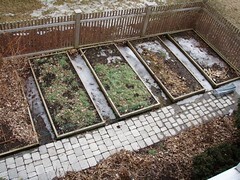 I will adjust it to my frost dates and my two garden sites. Just curious...how do you start your seeds? Do you use grow lights, window sills. Any special tips would be helpful. I am in the process of planning my first home garden from seed. I've always bought the plants from nurseries but I'm interested in heirloom plantings this year from seed. 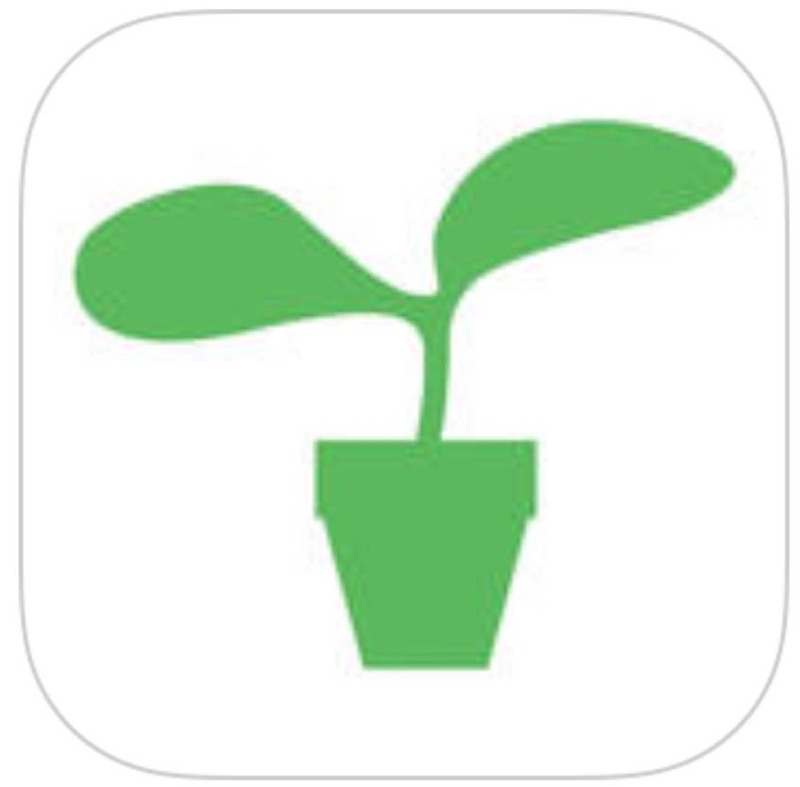 You mentioned that you are going to modify the sowing indoors and transplanting times for Ohio. Any chance you could help me with this as I am a first timer in Ohio? I agree with jmac. I too am looking for a decent outline for my plantings. I found this really cool printable book : http://www.littlehouseinthesuburbs.com/2009/01/free-download-2009-spring-garden.html and it has helped but i still wanna get as much info as possible. Much thx to any who can help! Your site is fantastic! 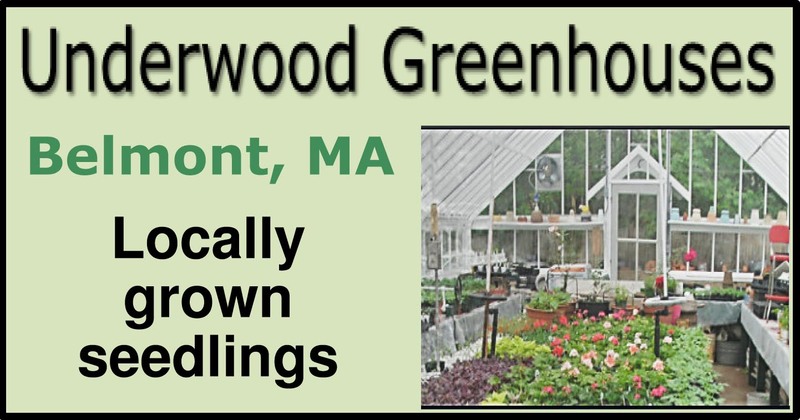 I am going to be a NEW gardener this year and I should be getting a plot at the Belmont Victory Garden (registration is in the mail)! Joined the Belmont CSA last winter and it was great. My partner and I are now ready to give growing our own veggies a shot and we are looking forward to the growing season. so this is very funny. 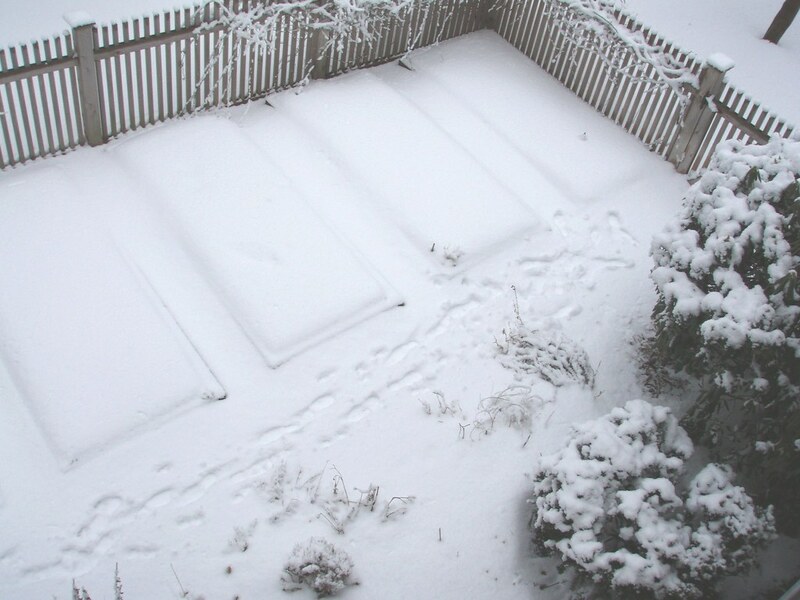 I googled "spring planting times, ma" and came across your post. And then I see you have a porty too! We have a ten month old puppy and no, we did not get him because the Obamas did. ;) We got Ernie last August, and he is a joy -- sometimes a chewing pain, but still a wonderful companion -- unlike Skippy though, I can't have Ernie around the garden just yet. He is too curious still! Anyway, thought i would say hi. Skippy is ADORABLE. 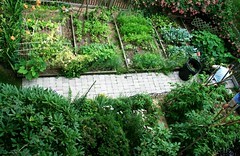 Hi, thanks to your web page I have a lot of info to start my new garden, first time!!! I built by hand two raised beds and I would like to build to more. I am in Northern Vermont so my last frost date is a lot later than yours as it will snow tonight!! 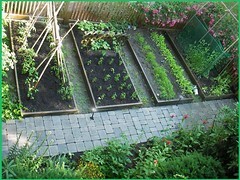 I already put lettuce, spinach, carrot and pea seeds n the raised beds as seeds, do you think it will be ok?